Fresh, Wonderful, a New Pantry Staple! 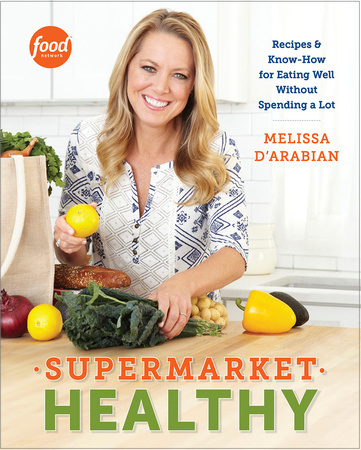 Food Network star and New York Times bestselling author Melissa d’Arabian proves that healthy eating at home is easy, achievable, and affordable. Everyone wants to feel good about what they are eating, serving guests, and feeding their families, but most of us don’t do our weekly shopping at pricey specialty stores– we do it at the local supermarket and we don’t want it to break the bank. In her second book, Melissa demystifies the task of preparing nutritious and delicious food by showing exactly how you can make your grocery store work for you. She offers helpful strategies for shopping, cooking, and entertaining, as well as meal blueprints and nutritional information throughout. This book will make you confident about the food you’re buying, preparing, and eating. Delicious recipes like Almond Waffles with Raspberry-Basil Sauce, Kale and White Bean Caesar Salad in a Jar, Slow-Roasted Tomato Spaghettini, Flatiron Steaks with Quick Cauliflower Kimchi, and Flourless Fudgy Dream Cookies have something for every type of eater at every meal of the day. No matter your favorite flavors or dietary needs, cooking on a budget is empowering– and now you can learn how to make every bite count. If cooking at home is the key to healthy living, Supermarket Healthy is the only tool you’ll need. There are cookbooks, and then there are cookbooks you keep. 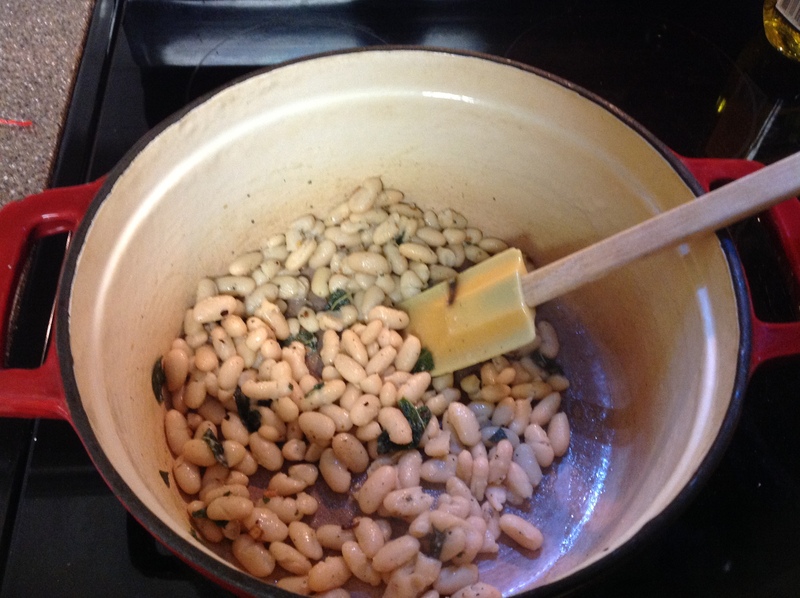 This one is a keeper, especially if you strive to feed you family good, healthy food…but find yourself in a rut. The day my copy of Supermarket Healthy arrived, I found myself dog-earing recipes and getting super excited about menu planning. And then I realized I had agreed to participate in the Daniel Fast with my husband for the next three weeks. Luckily, there is something for everyone in Supermarket Healthy. 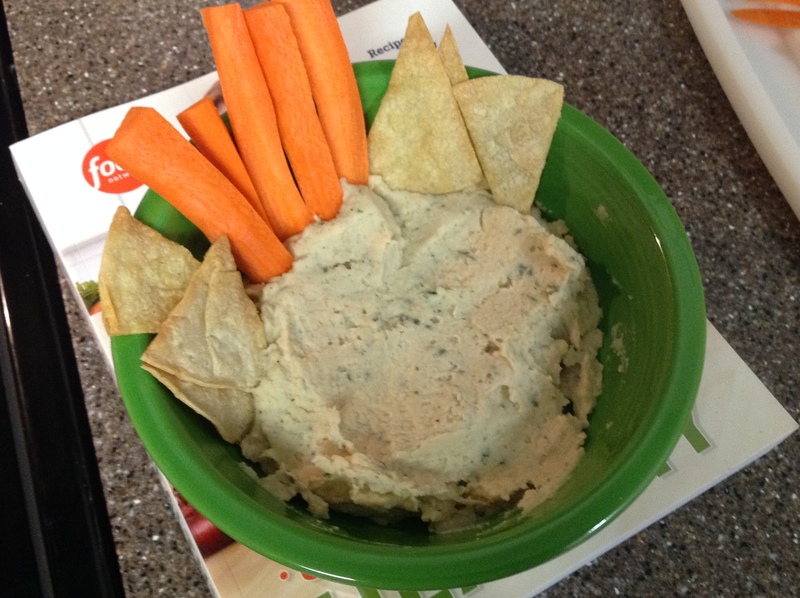 In the section offering snack options, Melissa d’Arabian gives the recipe for a Warm White Bean and Sage Dip. I just happened to have everything on hand and in just a few minutes I had a delicious and healthy Daniel Fast appropriate dip. I love this cookbook for many reasons, but mostly for Melissa’s fresh take on food and the diversity of offerings. I am so excited to make her Spicy Honey Mustard Chicken, Deconstructed Lasagna, Pomegranate Squash, Apples and Arugula, and her Pork and Rice Noodle Pho. For the home cook, this book is so practical. There are no overly complicated recipes, and I am confident I can make any recipe in the book. Further, I am pretty sure my kids will eat most of it. I thought of using this book as a gift to a friend (shameless I know) but I want to keep it for myself! I love it. Another awesome feature of this book is the blue prints created by Melissa to create melts, skillet-glazed vegetables, trail-mix, and salad in a jar to name a few. The beauty of each blue print is that Melissa has done the work for you. It’s like you are standing in line at Chipotle, and you just need to work the list. These are so great for meal planning and grocery list making. Melissa d’Arabian was a corporate finance executive before becoming the host of Food Network’s Ten Dollar Dinners and Cooking Channel’s Drop 5 Lbs with Good Housekeeping. She also developed the FoodNetwork.com seriesThe Picky Eaters Project, serves as lead judge on Guy’s Grocery Games, and is the author of the New York Times bestselling cookbook Ten Dollar Dinners. Melissa has an MBA from Georgetown University, and lives with her husband and their four daughters in San Diego. Remove from heat and let cool for 5 minutes. 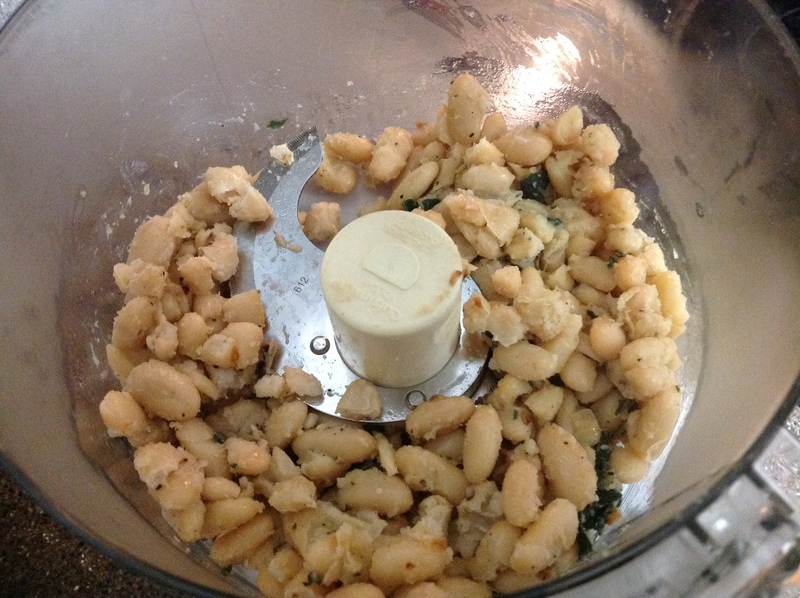 Next, transfer the contents of the skillet to a food processor. Add broth, and remaining oil. Process until creamy. Top with the sage leaves you removed earlier. (I just left it all in and pulsed away.) I was too starving to be fancy. In fact, I forgot to take a picture of the final result until after I had started chowing down. This really was a very satisfying snack. I baked a few corn tortillas to use instead of crackers and before I knew it, I had an empty bowl. I was given a complimentary copy of this book by Blogging For Books in exchange for an honest review. I have not been compensated in any way and all opinions are my own.